DEARBORN, Mich., Dec. 4, 2017 – Duke University and Northern Illinois University will play in the 2017 Quick Lane Bowl at Ford Field on Tuesday, December 26 at 5:15 PM. The game will air nationally on ESPN. Tickets are available at www.quicklanebowl.com, by phone at (877) 212-8898 and in-person at the Ford Field Ticket Office Monday through Friday between 10 AM and 6 PM. Fans can follow the official twitter account of the Quick Lane Bowl @quicklanebowl for the most current game information. A press conference with both head coaches and athletic department representatives will be held Wednesday, December 6 at approximately 10:30 AM at the Detroit Lions Headquarters and Training Facility in Allen Park. The Duke University Blue Devils enjoyed a successful start to the 2017 campaign with four consecutive victories – all by double digits – over N.C. Central, Northwestern, Baylor and chief rival North Carolina with the 27-17 triumph over the Tar Heels. Following the productive opening to the campaign, a six-game losing streak that included four defeats by seven points or less ensued before the Blue Devils secured bowl eligibility with victories over Georgia Tech and Wake Forest in the final two weeks of the regular season, overcoming double digit deficits in both contests. In the 43-20 victory over the Yellow Jackets, Duke amassed 319 rushing yards and scored the game’s final 30 points. One week later, the Blue Devils outscored the Demon Deacons by a 28-6 count over the final 33 minutes of the game for a 31-23 triumph. The Blue Devils are led by Head Coach David Cutcliffe. Northern Illinois University finished the 2017 season in second-place in the MAC West Division with a 6-2 league record, 8-4 overall. The Huskies return to the bowl season after missing a bowl appearance last year, which snapped a MAC record streak of eight consecutive bowl appearances (2008-15). Fifth year Head Coach Rod Carey and the Huskies defeated Nebraska from the Big Ten earlier this season. Northern Illinois will be making its 12th bowl appearance as a member of the MAC (4-7 record in bowl games). 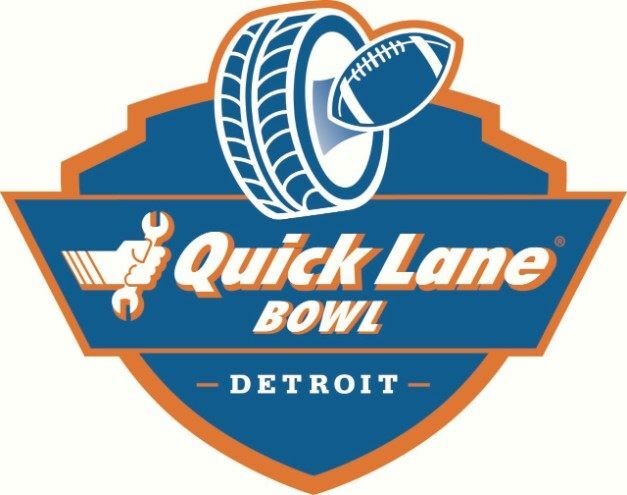 This will be the fourth year of a multiyear agreement for Quick Lane Tire and Auto Center as the title sponsor of an annual college football bowl game at Ford Field. Quick Lane renewed its title sponsorship of the Quick Lane Bowl with the Detroit Lions in 2016. The renewal guarantees Quick Lane naming rights of the bowl through 2019. The Detroit Lions own, host and operate this college football bowl game. The team’s entertainment division, DLI Entertainment, has promoted multiple large-scale shows and events at Ford Field including eight consecutive sold-out Kenny Chesney concerts, Taylor Swift, the 2003 Basketbowl, 2008 NCAA Men’s Basketball Regionals, 2009 NCAA Men’s Basketball Final Four and the 2010 NCAA Men’s Ice Hockey Frozen Four. 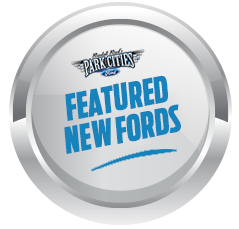 The 2017 Quick Lane Bowl is a postseason collegiate football bowl game sponsored by Ford Motor Company’s Quick Lane Tire & Auto Centers. Quick Lane Tire & Auto Centers offer routine vehicle maintenance such as oil and filter changes, light repair services including brake repair, and tire replacements on all vehicle makes and models. Customers can visit www.quicklane.com to learn more. The annual bowl game will take place at Ford Field December 26 at 5:15 PM ET and air nationally on ESPN. This game has no affiliation with previous Michigan bowl games, such as the Little Caesars Bowl or Motor City Bowl. For ticket information please visit fordfield.com or call (877) 212-8898. Both teams will arrive in Detroit December 22 and stay at Greektown Casino Hotel (ACC) and the Westin Book Cadillac Detroit (MAC). Punch Bowl Social (MAC) and Firebird Tavern (ACC) have been named the official restaurants and bars for each team’s fans. A welcome reception at The Henry Ford Museum of American Innovation will include a private tour of the museum highlighted by a ‘life after football’ panel discussion that includes Detroit Lions alumni. Shopping at Somerset Collection, an upscale, luxury, super-regional shopping mall in Metro Detroit. A Build-A-Bear workshop – Kids will have an opportunity to create their own stuffed animals. A Fowling competition – Fowling is a local Detroit favorite and an increasingly popular hybrid game that combines elements of football, bowling and horseshoes.Ice skating in the iconic downtown Detroit Campus Martius circle on Christmas Day. A visit to the Detroit Historical Museum – This museum chronicles the history of the Detroit area from cobblestone streets, 19th century stores, the auto assembly line, toy trains, fur trading from the 18th century, and much more. A Science Center adventure– An interactive museum of science designed to entertain and inform children and adults of all ages. Community giving with Gleaners Food Bank of Southeastern Michigan – Team and travel party will help pack potatoes and school weekend bags of food that will help make a difference in the lives of the hungry in Southeastern Michigan. Over past 3 years at Gleaners, the athletes have fed 26,600 families. The Parade Company Studio Tour – Experience a behind the scenes look at America’s Thanksgiving Parade. Additionally, a local Detroit PAL (Police Athletic League) football team will receive new uniforms (jersey and pants) from Nike and football pads and helmets from Riddell. 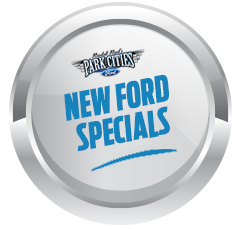 Quick Lane Tire & Auto Center offers routine vehicle maintenance such as oil and filter changes, light repair services including brake repair, and tire replacements on all vehicle makes and models. 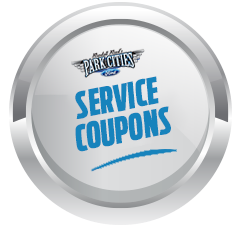 With its more than 800 locations, customers can visit www.quicklane.com to find a center that is closest to them, print savings coupons and review maintenance tips to keep their vehicles running at peak efficiency. This site includes information on how to spot tire wear, how to jump-start a battery and even a series of tips to improve a vehicle’s fuel economy. The Detroit Lions are a professional American football team based in Detroit, Michigan. They are members of the North Division of the National Football Conference (NFC) in the National Football League (NFL), and play their home games at Ford Field in Downtown Detroit. The team located to Detroit in 1934 and is the National Football League's fifth oldest franchise. The Detroit Lions most recently made the NFL playoffs in 2016, when they finished with an 9-7 record. In addition to professional football, the Detroit Lions have a visible and active community relations role in the Detroit area. With a focus on health and wellness and community revitalization, the Lions have contributed $7.2 million through philanthropic efforts since 1991. For more information, please visit http://www.detroitlions.com.